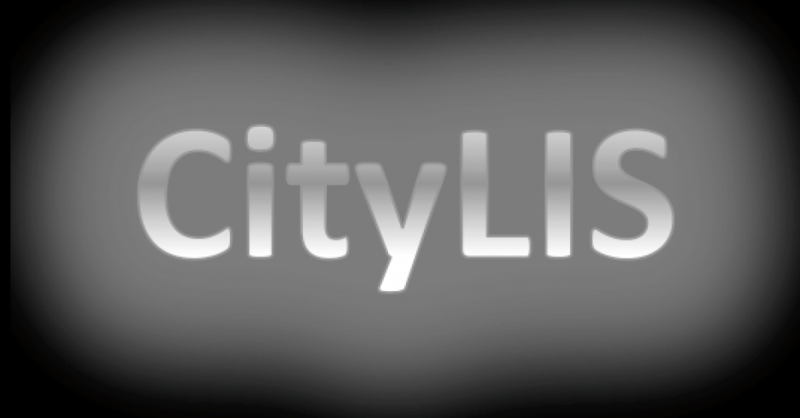 Student Perspectives is our series of guest posts written by current CityLIS students. In this post Andrea Anderson uses the metaphor of the Matryoshka Doll (commonly referred to as a Russian Doll) to unpack the interrelated topics and subjects the masters’ degree covers. The original post can be read here. What is Library & Information Science and “Finding the ‘I’ in Data”. 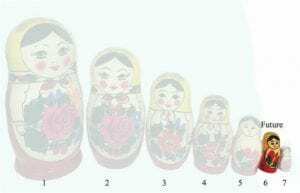 This reflective blog takes in to account the first two weeks lessons of my Part Time Msc Information Science Course at City University of London. 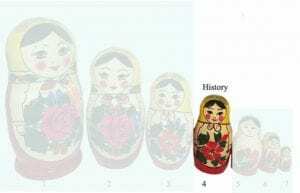 The introductory lessons began with a sea of information that I found overwhelming; coming from a technical design background, and being a highly visual person, for me, the only way I was able to process all this new found knowledge was to think of the Russian Matryoshka doll. 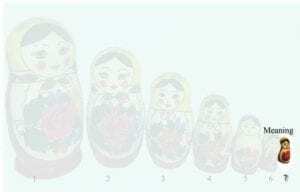 The Martyoshka or Babushkas, are typically seven wooden dolls ( the largest being the Mother) then decreasing sizes that all fit inside of each other, one by one until you get to the seed (the smallest doll). 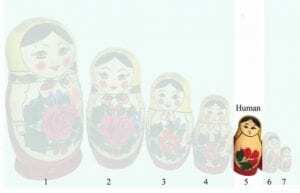 The beauty of these dolls are, they can be seen as secret keepers or bearers of revelations. This them brought to mind the concept taught in the lecture about Metadata. 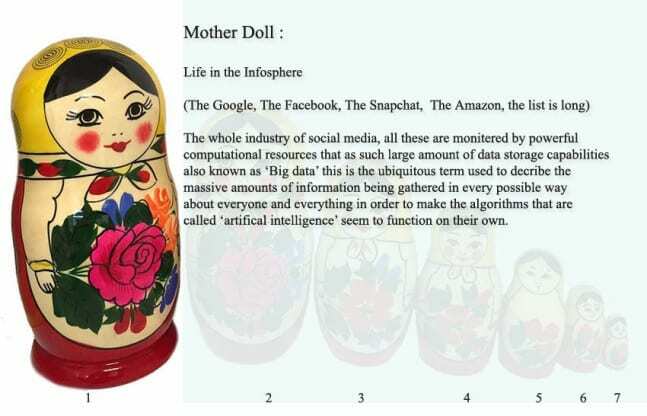 The Martyoshka makes an ideal metaphorical analogy for understanding metadata which is in its simplest definition is ‘data about data’. If you think of your local Library and how books within that Library are shelved; the meta-data would be the Dewey number on the spine of a non fiction book, this number would tell you where to put the book on the shelf, and what the book is about e.g computing, art, history, travel etc. Like the largest Matryoshka doll – no.1 (Mother doll) in this stacking toy; the number is the Metadata, it is an obvious numerical entity , but also holds information about a specific category within a system. 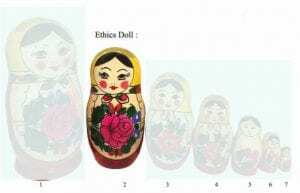 These dolls seems to further express the nature of the (LIS) Library and Information Science Course, I can imagine Lyn Robinson and David Bawden hands, lifting up and revealing the dolls within the dolls, unravelling the layers of complexity of this topic. Infosphere is a neologism composed of information and sphere. The word refers to an environment, like a biosphere, that is populated by informational entities called inforgs. While an example of the sphere of information is cyberspace, infospheres are not limited to purely online environments. If we first of all imagined the world in which we live in to be the Mother doll. 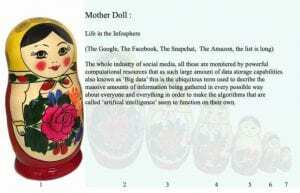 This we could called ‘Life in the infosphere’, as Philosopher Luciano Floridi states, “Algorithms have so far analyzed human identity merely for economic reasons. The result is dangerously far removed from our reality.” This I interpreted as our day to day lives are monitored in order to sell us stuff, after all we do live in a Capitalist society and most people would not want to have fundamental change. Would we really want a Communist State and its seems harder to dream any other type of state that humans would be content with. What about the individual need for privacy? Is our personal liberty and free will being eradicated by algorithms which can perform calculation, data processing and automated task ? Do we receive accurate and non bias information, and does the information minimises our democratic values, especially if its disinformation ? Knowledge = Power and; Money =Power, so does the control of information means the control of money and can we break the loop? Documents are the containers into which we put our representation of ideas/information/knowledge, to give them some tangible permanence so that they can be transmitted between us-we humans ( and bot) beings. 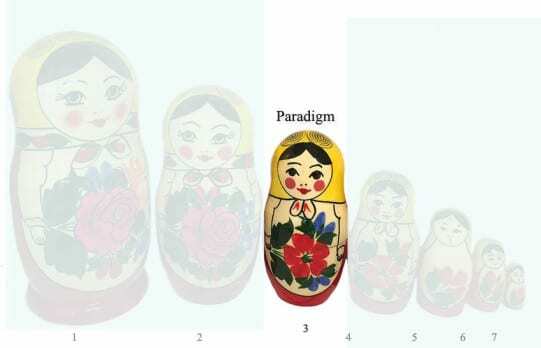 The Matryoshka doll – no.4 History encapsulates this concept of context. We are where we are at because they were able to keep a record. This expressed itself as the fundamentals of Information Science. The baby as to crawl before it can walk. This gives us the tools to understand. This meant the journey that humans took from cave painting , rock art, neanderthals, Proto Writing, Writing, Mesopotamia, as now led us to the age of the internet. In Martin Ford’s book ‘The Lights in the Tunnel (2009). He sees jobs going away, and proposes that people in the future be paid only for consuming wisely, since they wont be needed for producing anything. This idea seems overall a very pessimistic view as humans have created so much but the planet as paid a heavy toll. This entry was posted in Student Perspectives and tagged CityLIS, infosphere, Library and Information Science, Luciano Floridi, metadata, Student Perspectives. Bookmark the permalink.